What kind of wheel do you reccomend? I recently adopted two sweet boys last week and I was thinking about getting them a wheel. I felt it was a good idea to wait for a bit before buying them one since boys are known to be laid back and all. So I decided to just watch them for a while and I quickly noticed that one of my boys is pretty hyper/energetic. I think a wheel would be good for him and for his brother too for some extra exercise. I'm not sure what kind exactly I should get however. I know not to get one that's too small or one of mesh (because they might hurt themselves). I am just pretty much stuck between choosing the Wodent Wheel and the Silent Spinner. When buying these I'm thinking of cleaning convenience, easy dismantling, and general safety and enjoyment for the boys. They are 8weeks old now by the way. Re: What kind of wheel do you reccomend? My boys really enjoy the Stealth Wheel with the xmount. It's 12" in diameter. Very important to get this large size for their little spines : ). It runs on ball bearings so it's silent, and there is a sort of lip on the edge to prevent wild out of control spinning flinging of rats. Lets see some pics of your new boys when you get a chance! As you say, boys may not properly appreciate a wheel, but at eight weeks, they are full of energy and a wheel might be just the thing. Either the Silent Spinner or the Wodent Wheel would be good; pick whichever you like. For a vertical wheel like the Wodent, it is important for the diameter to be 12"--this would be the Wobust size, in the case of the Wodent Wheel. The Silent Spinner is more or less horizontal, right? If that is the case, I don't think the diameter is such an issue, but a vertical-type wheel that is too small can cause back injuries. Rats are the largest of the pocket pets that use wheels, which is why we always have to be sure to advise people to get the largest size. 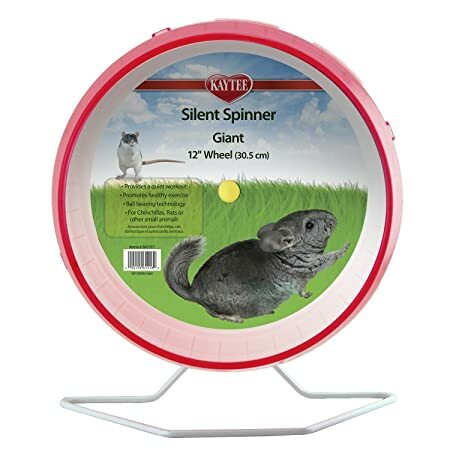 Silent Spinner is vertical, just like the Wodent Wheel, and available in a 12" size (marketed toward Chinchillas). It can be attached to the side of the cage or it can be setup on the stand and used anywhere. If you want a Silent Spinner, I recommend ordering one from Amazon as it is about $18 cheaper than Petco's regular price. The drawback is that you can't pick your color when you order online (although if you go to Petco, they usually only have one color in stock - at least at my Petco, so you can't really pick color there either). I think Big Ben was thinking of the Flying Saucer, which is kind of like a concave record player tilted at a slight angle (looks a little like a satellite dish). I haven't tried these, but it is my understanding that most rats won't use that kind of wheel. I have the Silent Spinner and my rats like it. I haven't tried the Wodent Wheel. Some people/rats like the enclosed nature of the Wodent Wheel, but I like the open wheel better because my ratties like to poo in their wheel and it is easier for me to quickly clear the raisins out of an open wheel. My girls definitely have liked their wheel. I have had boys who really liked it when they were young, then stopped using it when they turned into big squishes. My new boys all really like the wheel still - they are about 6 months old now. My older boy Burt never touches it. I think it is a good thing to have - even if your current rats don't use it, chances are at some point you will have rats who will. And at 8 weeks, there is a good chance they will use it regardless of gender. Ah, yes, that's it. Thanks for setting me straight, Vonda. I've had better luck with the wodent wheel vs. the silent spinner but they're both good in my book. The wodent wheel is more enclosed and my theory is that makes the rats more comfortable in it so it gets more use. The down side is you pretty much have to order online and it's more difficult to clean. I like the silent spinner for my rats. I usually have 2 in the cage, and they're in almost constant use. Whatever wheel you get, you want to be sure that poops and lab blocks can't fall out when you run in it. This is because your Mommy and Daddy love to hear the clatter when you run with all that stuff in the wheel. They especially love to hear it at 3:00 a.m., just when they've finally been able to fall asleep! Thank you everyone for the suggestions! I think I will go with the Wodent Wheel. ARGH! TOO CUTE FOR LIFE. *ahem* I have a Wobust Wodent Wheel, as well as the Stealth Wheel. Different rats prefer different wheels (I even had an old, neutered boy who used to love taking a stroll on his wheel all the way up until the end). My boys really are cute....and I am sure they know it too. I just ordered their new Wodent Wheel today and it should arrive in about a week or so. Here's hoping they love it! I've always used 12" Silent Spinners and me/the rats love them Pricey, but they're $18 or so on Amazon, and of course if you spend over $25, there's free shipping! 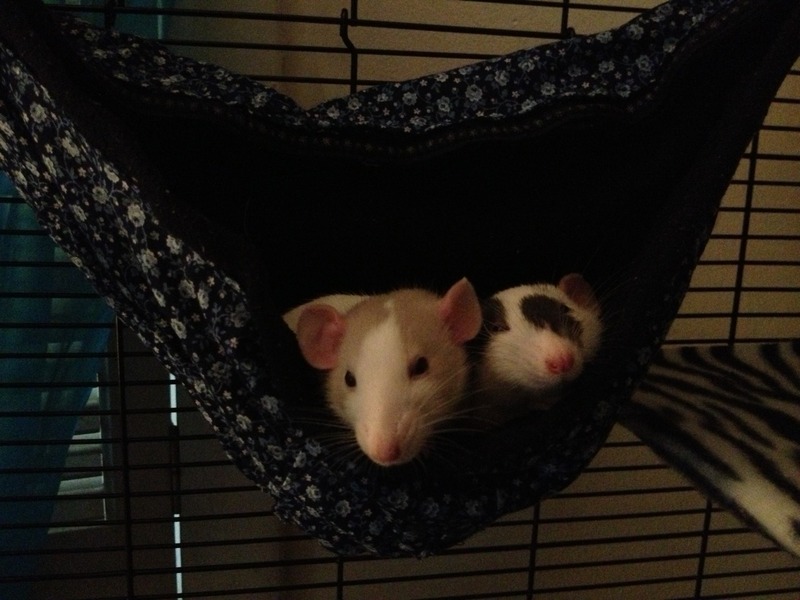 Revisiting this thread I remembered a couple of things little ratties did in a litter I was fostering. One little boy at three months was already well on his way to squishdom. He would wait until somebody else got the wheel going, hop partway up. hang on and ride the wheel up and over the top, hop down, walk around, and take another ride at somebody else's caloric work expense. And two of the baby girls in the same litter would face off, but back to back. One would try to run up one way and one try to run up the other. At the most they would achieve a gentle rocking motion but mostly they were stuck in place. And I had one old neuter who would squeeze his bulk through the hole of the Wobust Wodent wheel, streeetch himself out lying down eeeeeennnnnhhh and gently rock himself to sleep with subtle shifts of his bulk.